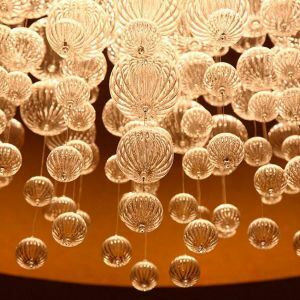 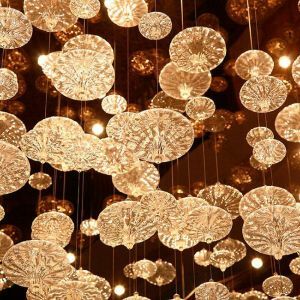 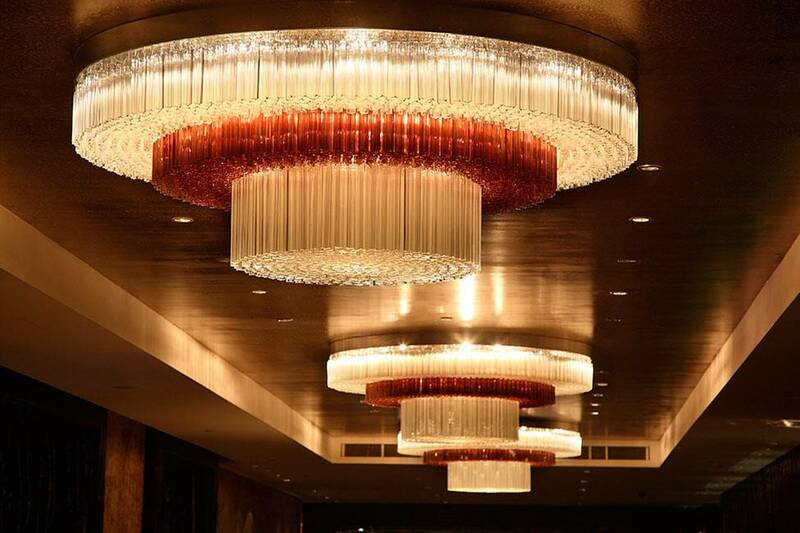 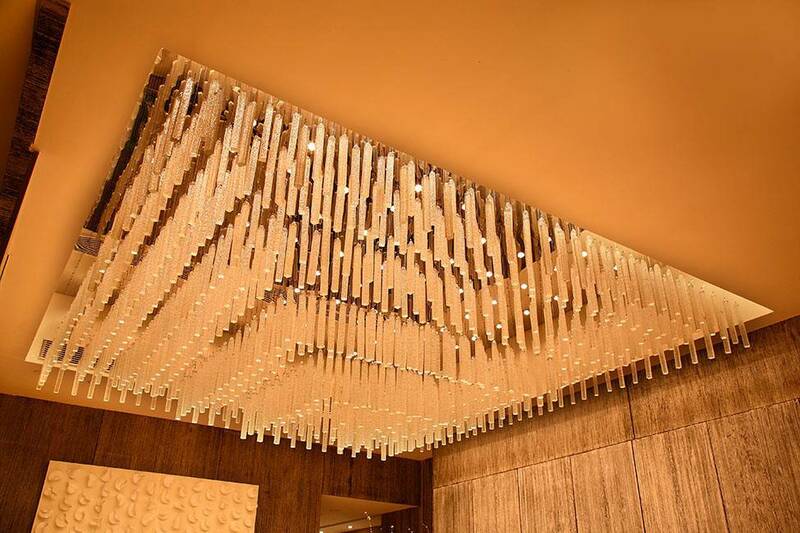 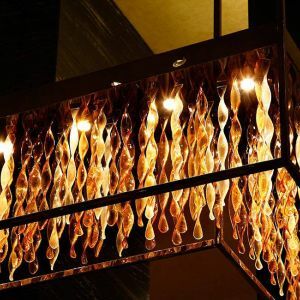 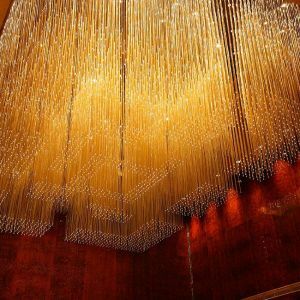 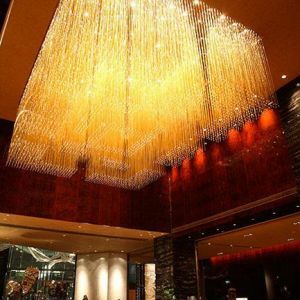 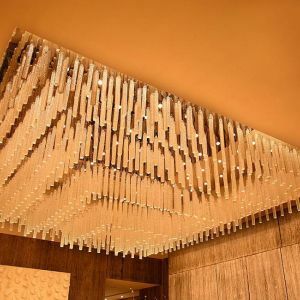 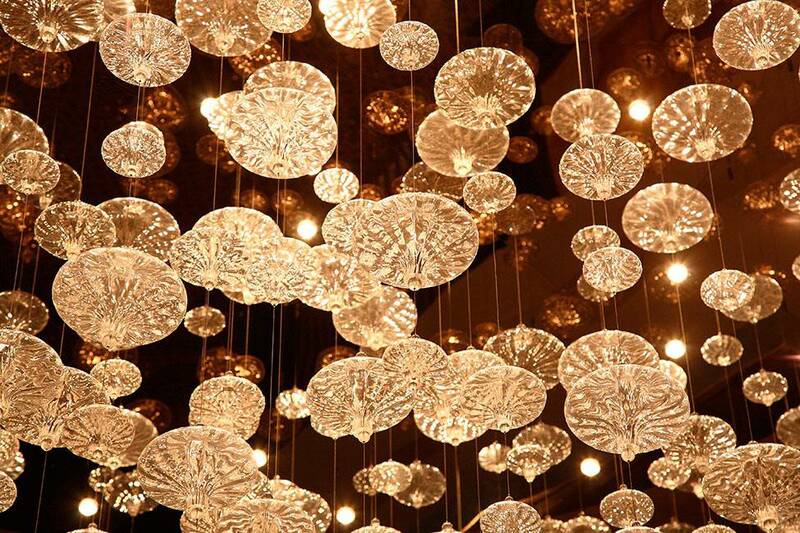 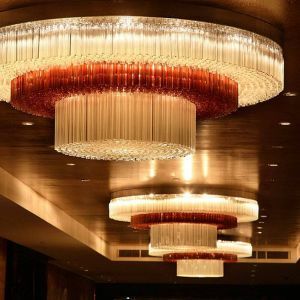 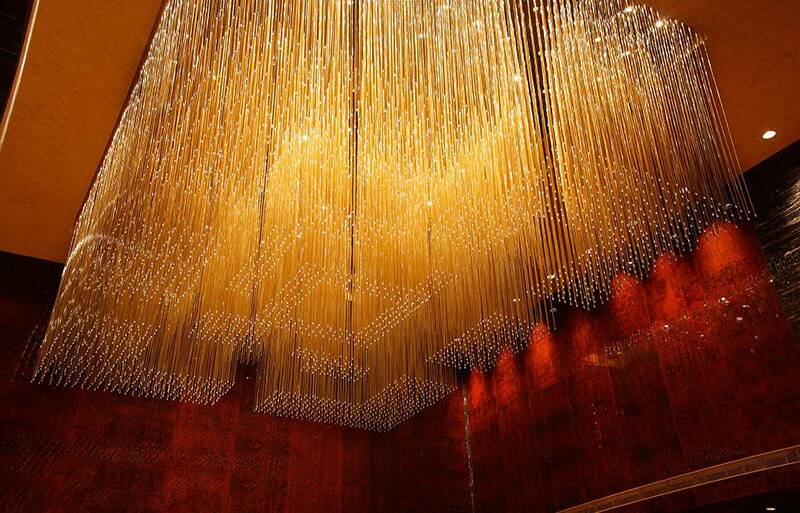 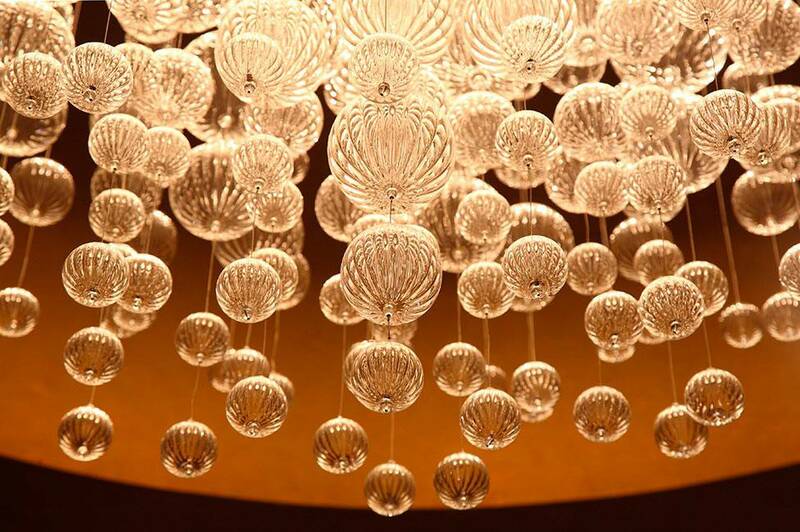 Preciosa equipped the hotel premises with lighting fixtures in the latest design trends. 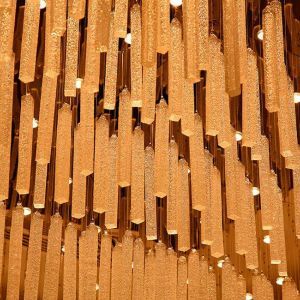 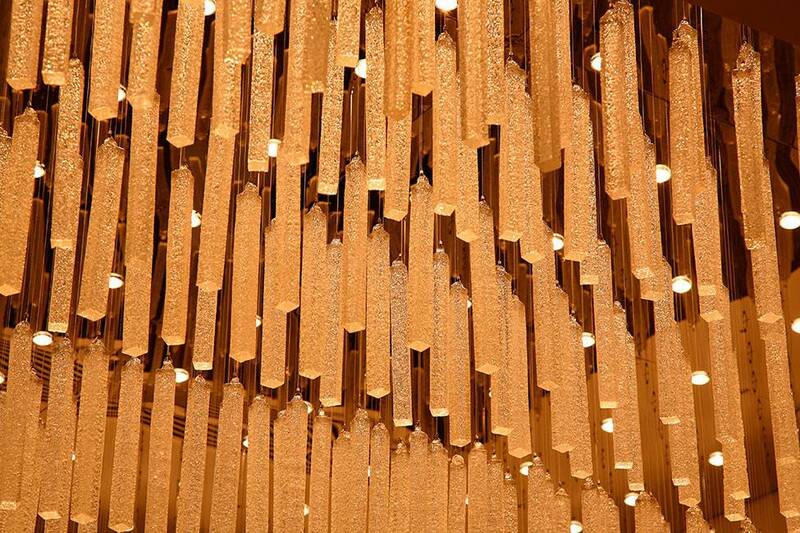 is the geometric shape of loosely suspended components formed from mouth-blown parts or hand-shaped rods. 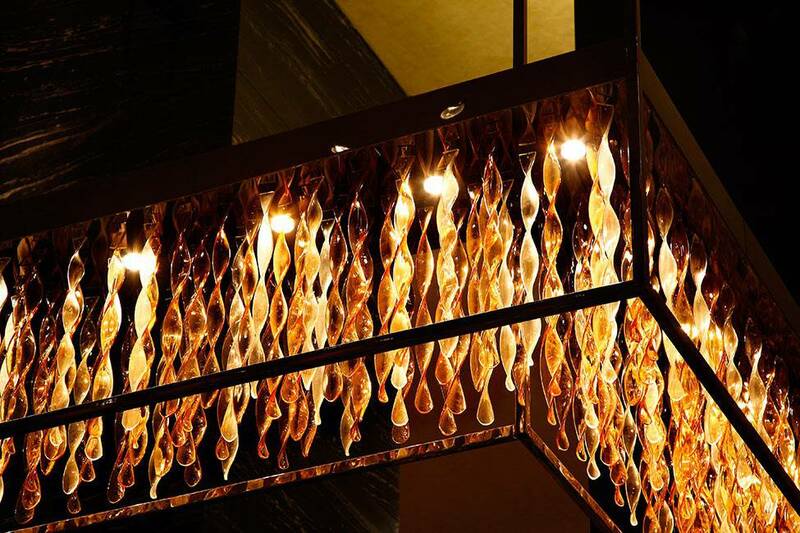 The main color is pure crystal with sporadically placed mild tones of grey and smoke. 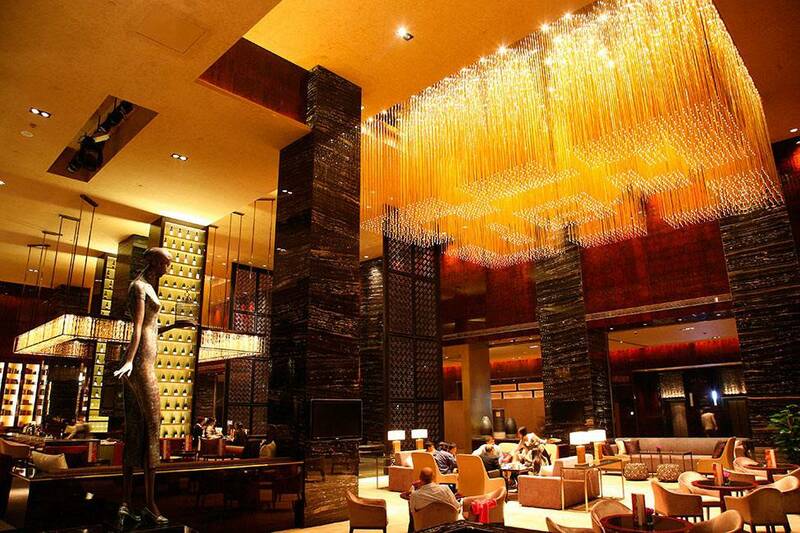 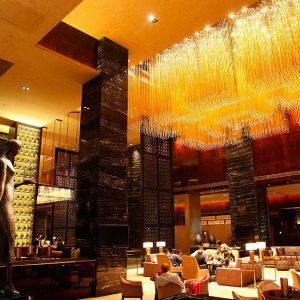 About the locality – This modern and stylish hotel has a strategic position in Zhabei District. 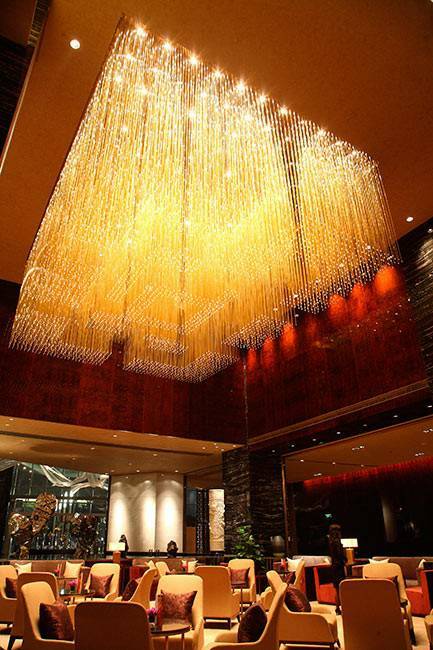 Easy accessibility on foot to important intersections and attractive places of entertainment, such as Shangai Grand Theater, the Jing An Temple and Yu Yuan Garden, makes this a convenient place to stay.